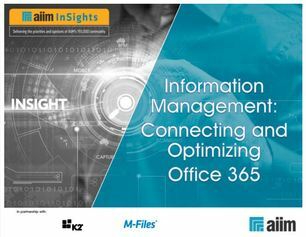 According to a survey by AIIM Market Intelligence, 36% of respondents report that there are no set policies or procedures for managing content in Office 365. What steps are companies taking to optimize for Office 365? Read this research report to learn how to best optimize Office 365 for your organization and get as much out of the platform as possible.